Something that is often overlooked when it comes to residential roofing systems is proper ventilation. Ensuring your roof has adequate ventilation is the key to making sure your energy costs remain as low as possible. In addition, ventilation also helps prevent mold from forming in the attic and makes your home a more comfortable place to spend time. The vents found on traditional asphalt roofs are generally ineffective. The way that they are designed actually moves air back into the attic, trapping moisture in your insulation. Excess moisture can lead to a decline in energy efficiency. In fact, according to the Department of Energy, you can lose as much as 2.5% efficiency for every 1% of added moisture. When you consider that some homes have 10% more moisture in their installation, that can mean a 25% loss in energy efficiency. 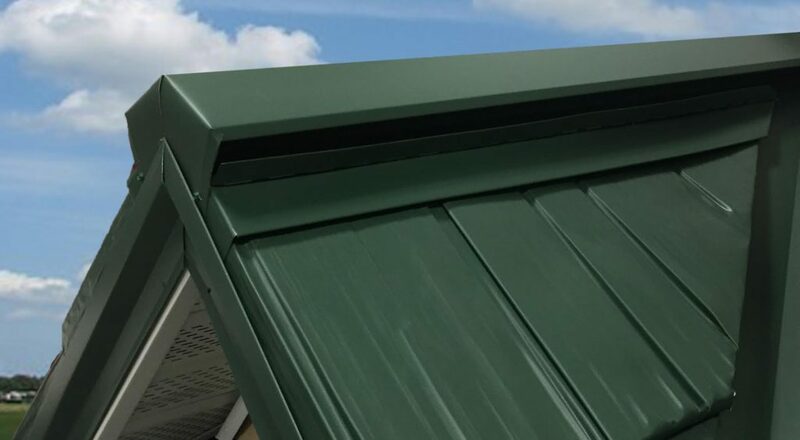 McCarthy Metal Roofing is proud to sell and install Hi-Flow Ridge Vents, which are effective at moving a substantial amount of moisture and excess heat out of your attic. These vents are capable of decreasing moisture levels in your attic by up to 10% which means lower energy bills, and a dry attic that is free of mold. However, you want to make sure to do your research, since not all ridge vents are created equal. A ridge vent that is poorly designed can have the opposite effect, and reverse the airflow back into your attic like what happens with traditional asphalt roofs. When you work with MMR, you can rest assured knowing that our trained representatives will determine the most effective ventilation system for your home. There are no one-size-fits-all solutions.